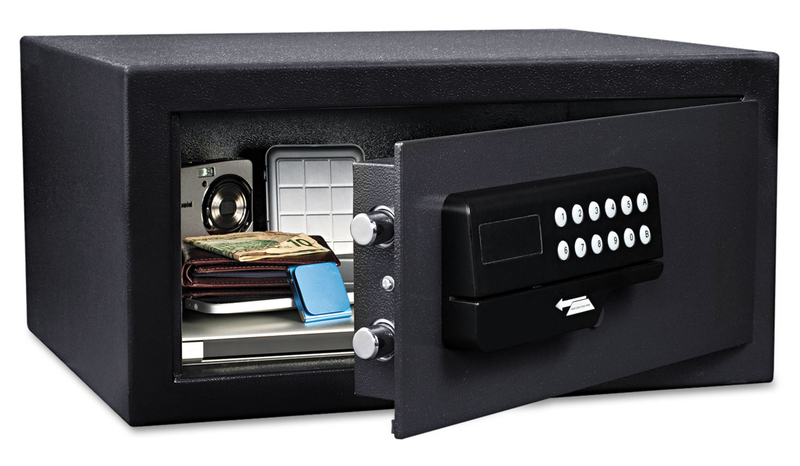 Many electronic components benefit from the unique combination of strength, durability, soft touch and beauty represented in this ATM/barcode scanner assembly. It is constructed of aluminum, polycarbonate and TPE, with a durable finish that will hold up to years of heavy use. 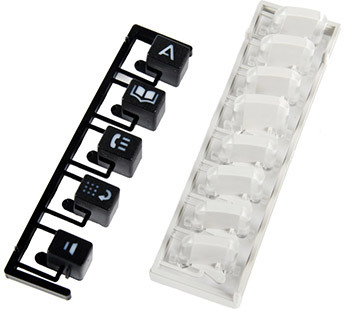 Polycarbonate produces clear, transparent keys that protect key graphics from abrasion and allow backlighting. It is affordable, easily molded, durable, lightweight, and resilient, and it withstands repeated usage and daily stress. Unlike other common materials, polycarbonate is not prone to yellowing or discoloration and is more impact-resistant than acrylic. Constant contact with fingers can transmit dust, oil and other contaminants from the hands, face and work environment. 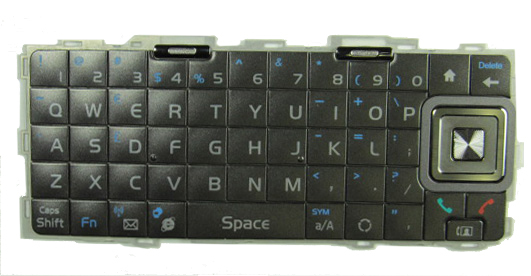 This keypad features the chemical-resistant qualities of TPU (thermoplastic polyurethane), which prevents oils from adversely affecting the keypad, enables keys to last longer and provides resistance to premature aging, corrosion, and the wear and tear of daily use. Formed from silicone rubber using a co-molding process, TPU film has a softer feel than the PET films in IMD (in -mold decorating) keypads. It is ideal for the thin keypads in small handheld products and provides resistance to abrasion, chemicals and UV lighting. Contact Elite Technology today for more information about injection molding for electronic parts and components.